A monolithic sphere beckoned nearby entities to form gravity wells with the weight of their bodies, slicing through celestial veils to reveal the unseen worlds beneath the surface. 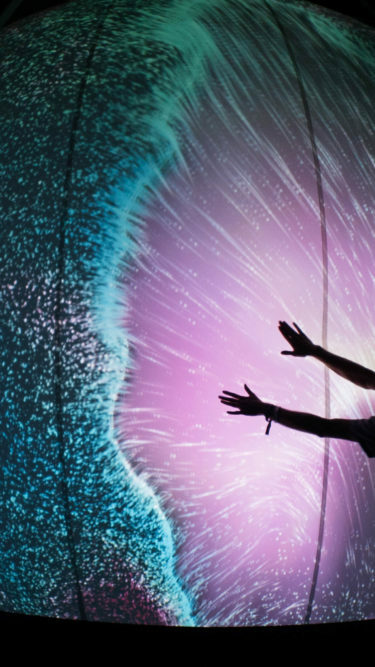 For the Lab at Panorama 2017, Future Wife teamed up with Max Cooper to create an interactive experience that utilized a conceptual narrative of the manifestation of the known universe. Working closely with Vincent Houzé, Future Wife built a shader-based generative framework that used fluid dynamics and cellular automata to display emergent systems that followed the conceptual three-movement universe narrative. Stage one represents a quark soup of fluid-driven particles to conceptualize time immediately following the big bang, stage two consists of fluid systems and patterns indicative of a molten planet’s surface and its subsequent hardening, and stage three involved Grey-Scott reaction-diffusion systems driven by the fluid simulation that drives stage one, alluding to the cyclical nature of the three stages as a single entity. Once the “life” in stage three dies off, the universe is born again and the experience transitions once more to stage one. 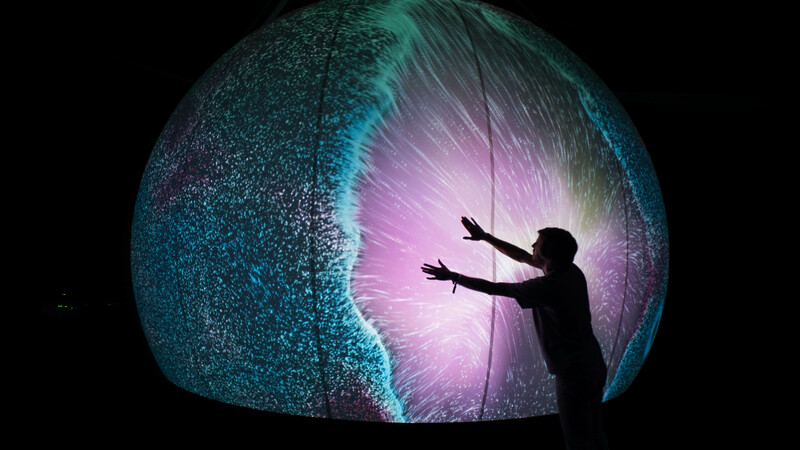 By utilizing Max Cooper’s stems from his latest EP, Chromos, Dave & Gabe created the interactive audio infrastructure that drives variables of the generative visuals, while simultaneously receiving cues from interactions from guests.